Quinnipiac works to provide its students with the best of a liberal arts education, according to the university website. While views on college campuses tend to be liberal, this is not true of all universities. Going to a liberal arts school does not mean that the school itself is liberal, according to senior physical therapy major and vice president of the Quinnipiac University College Republicans [QUCR] Rachel Ziner. 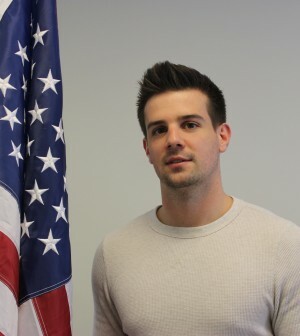 QUCR is a student organization that offers ways for students to become more active in the GOP in Hamden, the state of Connecticut and nationally. For Ziner, a liberal arts education emphasizes broad education about topics such as science, literature and government. “People may have more liberal views than mine, but I don’t believe the university’s affiliation as a liberal arts school has anything to do with that,” Ziner said in an email. While Quinnipiac may be a liberal arts school, there are other liberal arts universities that are much more “in your face liberal,” according to Ziner. Senior finance and accounting major George Corde is a member of QUCR and believes that the campus is evenly made up of the members of all of the various political parties. Having diversity of thought, especially on a college campus, is a good thing, according to Corde. Having a diverse campus allows for civil conversations about politics, according to Corde. The liberal arts education that Quinnipiac provides attracts the liberal-minded students, which establishes a good mixture of beliefs and ideas that create a healthy environment, according to Ziner. “We need differential views to find a bipartisan solution to the extreme tension that exists in today’s society between the Democratic and Republican parties,” Ziner said. Senior accounting and CIS major and Chairman of QUCR Kevin Casserino believes that Quinnipiac is one of the more conservative liberal arts universities. While the campus provides a safe space to talk about politics, the internet and social media are where Ziner finds that hate- spewed conversations erupt. QUCR gives students a space to say what they believe in a comfortable environment with people who share the same ideas as them, according to Ziner. QUCR is growing as an organization and would like to get more involved with the QU Democrats, according to Casserino.